MM's Selections for July Comp, Good luck! UPDATE: AS of July 6th (last day for submissions), Sergio has opted to have a different poem from a different board submitted this month. Best of luck! I would like to nominate Sergio's (saore's) poem "Madness" for July's IBPC. the tundra where my poems gather. I think it's a deftly written, delicate piece on the subject of muses and madness, reminiscent of some of Plato's thoughts, but in modern day language. Thank you Sylvia, I accept the nomination. I'd like to nom Maureen's poem "Not Quite White", FV for the next IBPC, whenever that is. I believe the link is: Not Quite White. white was not a colour. God, he was sick of white – neutral white – blank palette white. Everyone was the same, like bloody sheep following the leader. When had white become the go? Safe old white – cold white. Icy white, white out, antique white. viewing the panorama of nature's vibrancy. I have contacted Maureen. YAY! Great! I think it's highly original. I'm not so sure about the spaced version for IBPC. I've not seen that sort being prized. It's so important to check any competitions before sending. But Maureen should decide, it's her poem. I'm so glad you're sending it, Lori. Best of Luck Sergio and Maureen! Best wishes for IBPC, Maureen and Sergio!!! Lori, hi. Sergio Ortiz had another entry from a different board, and he has chosen to have that one go on to the judge this month. 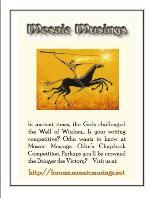 If you'd like, you can substitute another poem to represent Mosaic Musings in place of "Madness." We do not have any other poems nominated (or at least 'finalized' to go for the July competition) at this time, so we will only be submitting Maureen's poem this round. I did nominate John McLeod's poem Tom a long time ago. It just needs a few tweaks, IMHO, but I didn't enter the forum until yesterday to make suggestions to him, what a shame. We had mixups due to my last minute realization that my poem had been published. Too late for you to have a peep and prompt Arnie? I also nominated a poem in F&R, it's already been worked on, maybe ready to send. Will check. I've been absent again. Hugs to all, and best of luck to Maureen!! 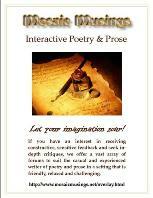 I would like to nominate Daniel's poem A Door to Curiosity for IBPC. It's an amusing and deftly written piece about long past experiences, with which many may identify. 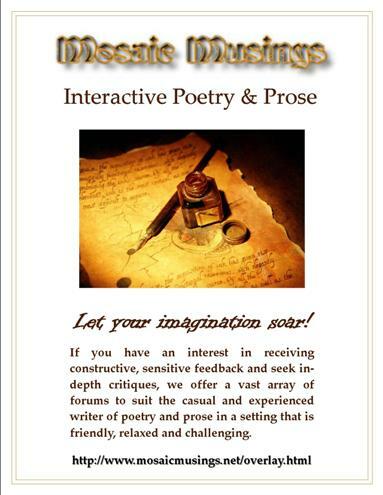 Please start a new topic for each poem that you'd like to nominate here in the IBPC forum. I do not always read all the poems and would not have noticed these were even nominated. I'll post them for you now since you've kindly posted all the tidbits. Normally, all poems are due in no later that the third of each month, but due to the long holiday weekend here in the states, there were a few extra days. Our nominations need to be in no later than the 25th of each month to give me time to notify the members and them time to reply and tweak if they'd like to. 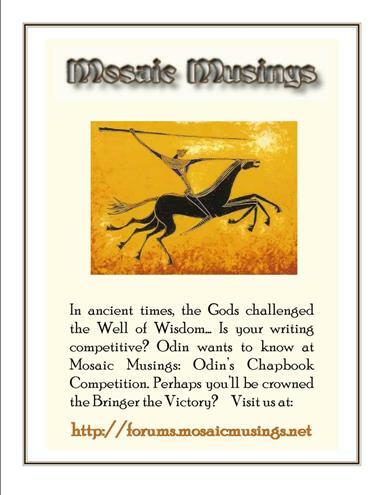 As I said, I didn't post them as a new topic simply because we had 3 poems already nominated. I believe I even told one author not to hurry, as it would be for August, and that I would nom them in the correct place as soon as I had time. And when they'd done all the tweaking, or not, that they wished. My guess is that they saw there was no need to hurry, rightly so. I couldn't foresee that Sergio was going to opt out of his. As you can see, I nominated them here for IBPC, but didn't mention any month, leaving that up to you. I see you've decided and done it all now. I don't know what you mean by tid-bits. I really don't have time for much more info and always thought that went in a private PM sent by you to the author. Although I'm a bit erratic, I've been in the forums working quite hard during June and July, along with Snow. Where's the rest of the Staff?